← What is Acocks Green Village Partnership? Check out the new sign that British Waterways have recently added to our Grade II listed bridge. Although it has locally been known as Vineries Bridge for at least 100 years, it now has an official name plate and date. 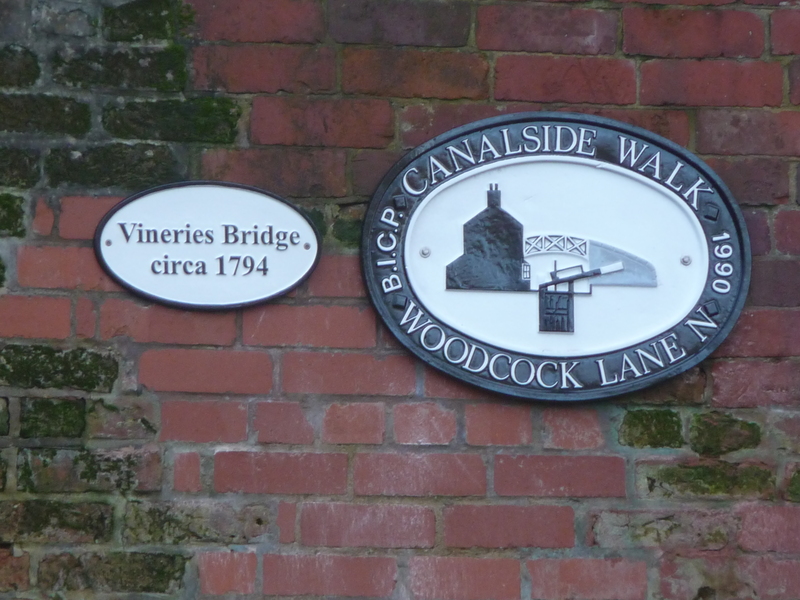 BW have also added the name of the road on their Canalside Walk plaque. This will help walkers and boaters pinpoint their whereabouts. It is thought that the name of the bridge originates from a market garden that grew soft fruits in large glasshouses close to the canal. This business operated up to the beginning of the 20th century. But perhaps the name goes further back than this. Have you got any memories or stories of the bridge? Why not let us know. This entry was posted in Events and tagged Acocks Green, Grand Union Canal, Vineries Bridge, Woodcock Lane North. Bookmark the permalink.